Some projects begin after months of careful planning and preparation, like a kitchen or bathroom remodel. Others happen out of necessity, such as replacing flooring after a flood. And then there are those projects that begin accidentally. Such was the case with our cypress trees. 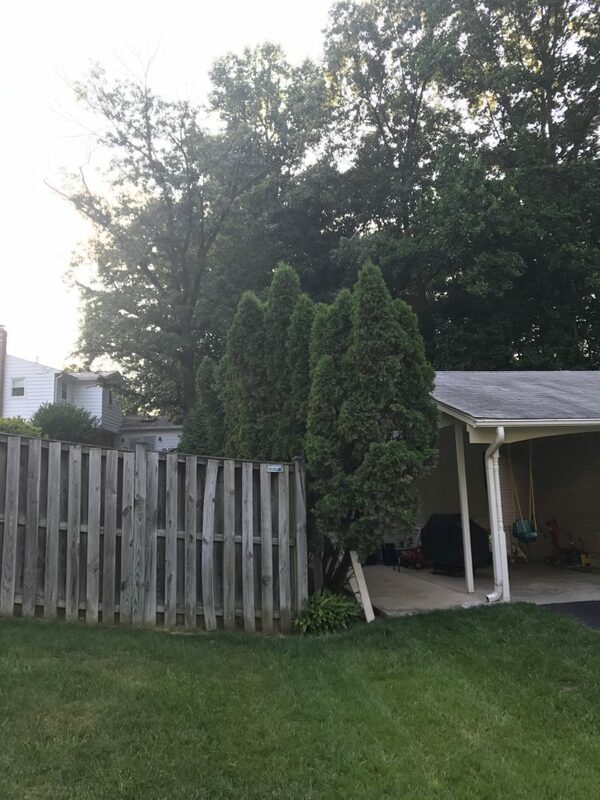 Before we moved in, the home inspector alerted us to the fact that these trees would eventually need to come down. Many leaned so far over that boards had to prop them up. Later, an arborist would tell us the trees are actually healthy, but had not been trained when they were young. 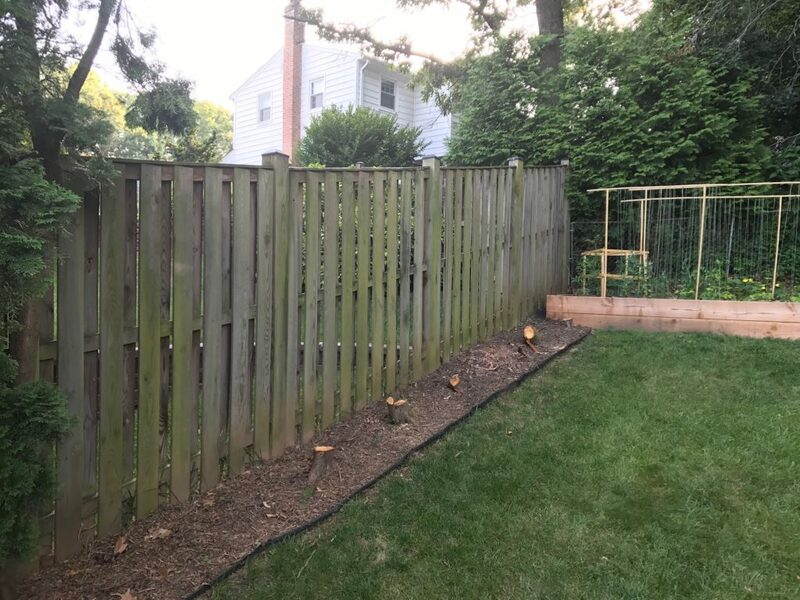 When Pat took down 4 trees to build the vegetable garden, he counted the rings and learned they were at least 30 years old. 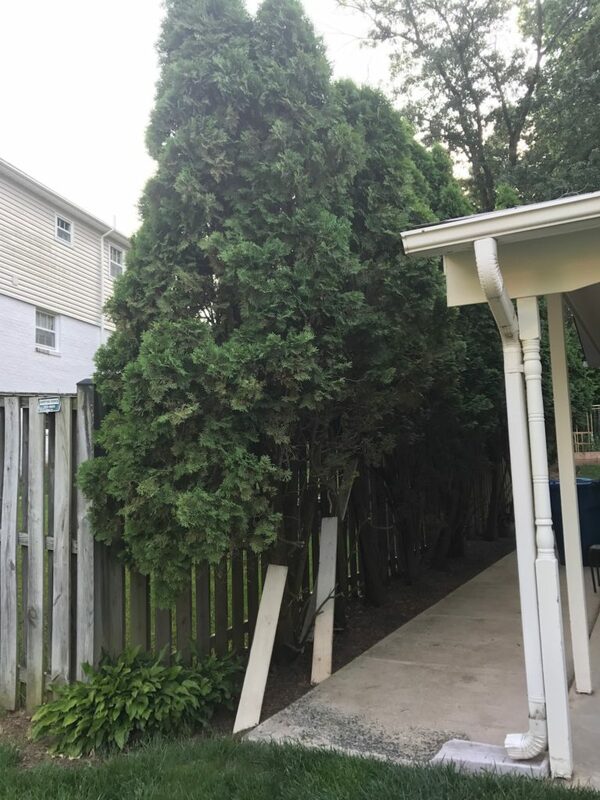 The trees are very tall and do offer privacy from our neighbors higher up on the hill. But, it seemed as if no one had ever trimmed them, and the small carport walkway was always crowded. 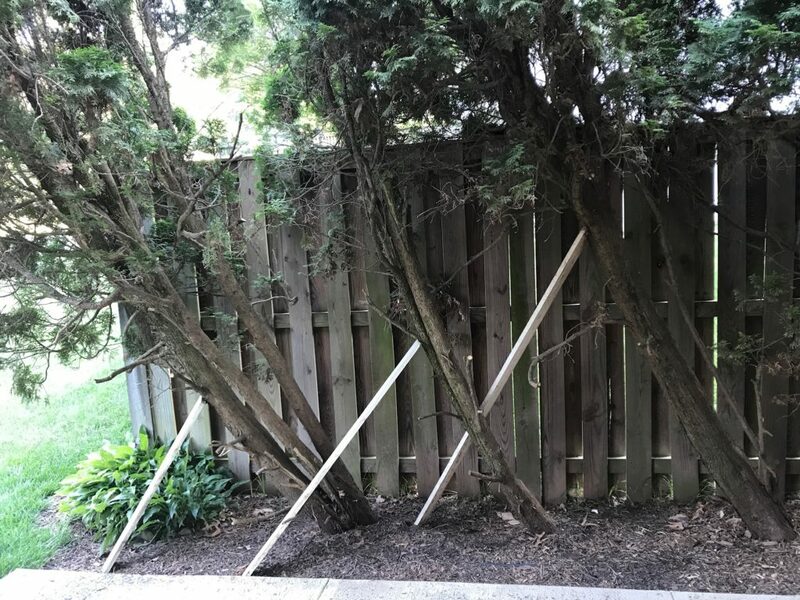 Every few weeks, I would lob off a few branches with the hedge trimmers, but that didn’t make them any less of an eye sore. At one point, we got a quote from a landscaper about taking them down and it would be $1000. It wasn’t on the “imminently required” list, so we figured we had a couple more years before we had to do it. 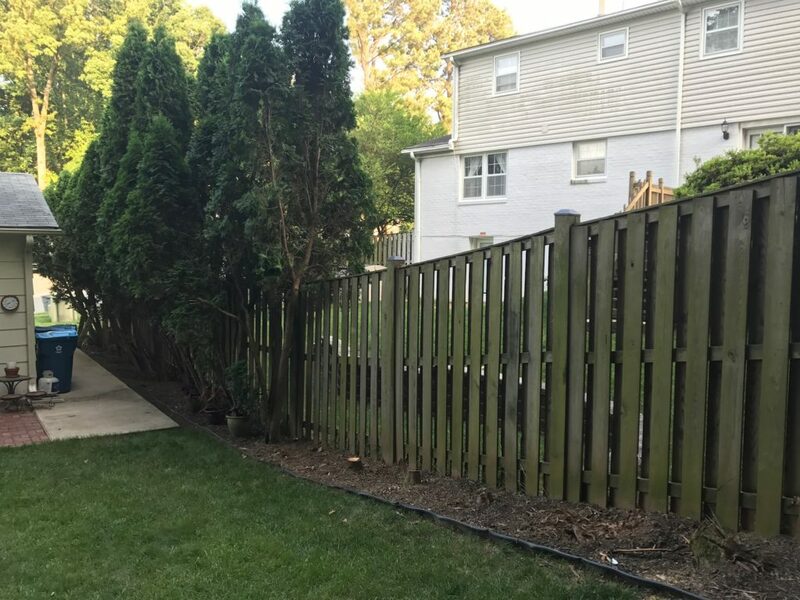 While out walking with the baby one day, I noticed how the trees were growing so crooked that they leaned onto and over the neighbor’s fence. 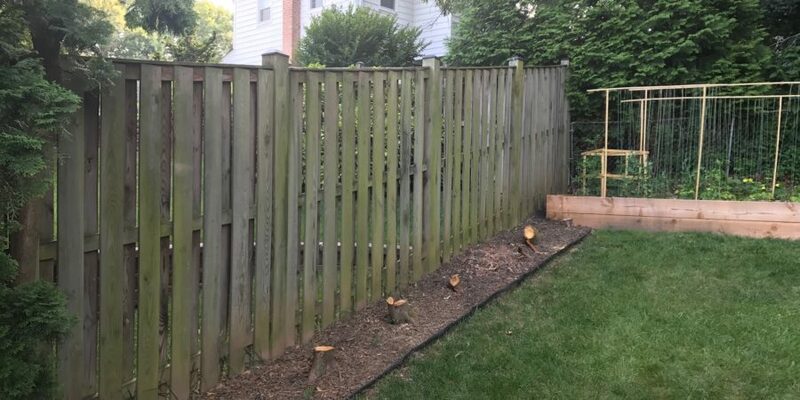 We figured we were one bad storm away from destroying their fence and needed to trim that side of the trees. So, Pat picked up the ladder and the hack saw and got to work. 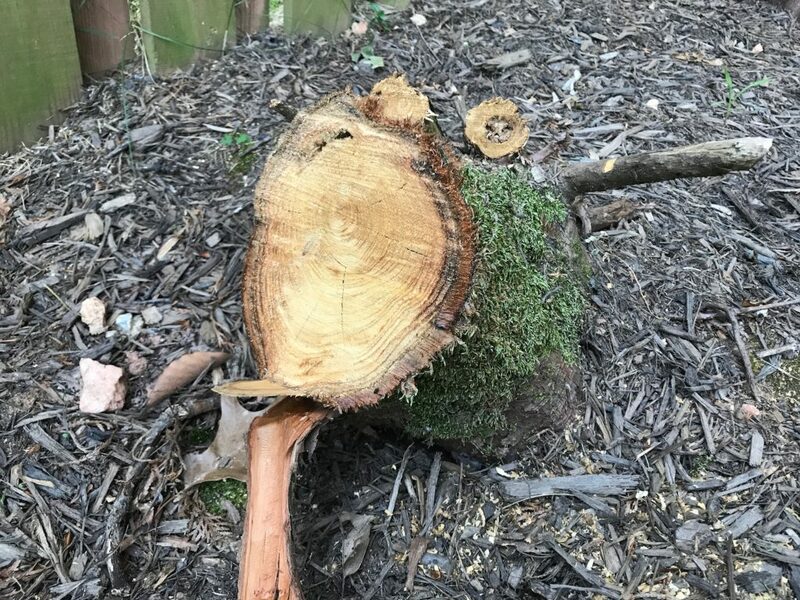 He chopped down branch after branch after branch…and eventually just decided to take down entire trees. 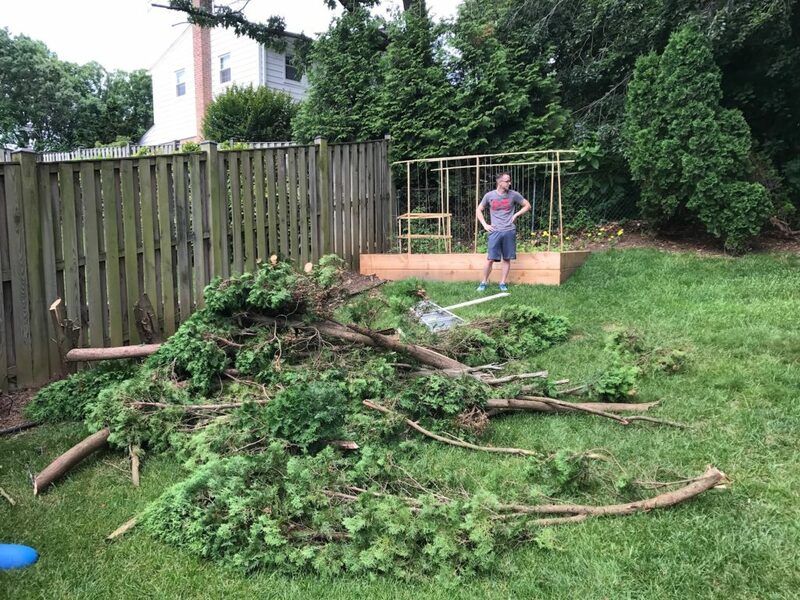 He used the chain saw to cut up the trees, tackling about 1/3 of the lot. So, here’s the important question: what do we plan to put there next? No, seriously, I am asking your advice. I don’t have a vision yet, though a border of hydrangea has crossed my mind. I thought we would have a couple more years to think about it and have done zero research. 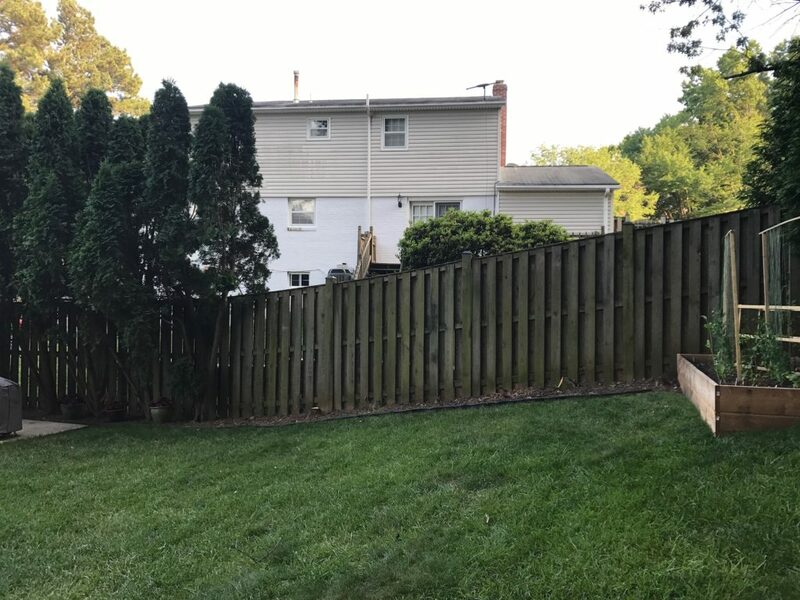 What do you think we should grow on the border of this fence? Hydrangeas are a wonderful idea! Mine are blooming right now. Brought some in last night and they are beautiful. Low maintenance also! They will grow larger, but nothing like the cypress trees. What a job Pat did! Thanks, Mom! Looking forward to doing some more research on hydrangea!